Do you want to create a custom page in WordPress? You might notice that many WordPress sites have different layouts for different pages. A custom page allows you to have different layout in appearance from regular pages in WordPress. 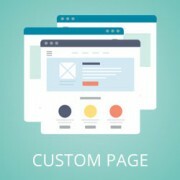 In this article, we will show you how to create a custom page in WordPress. By default WordPress allows you to create posts and pages. Your WordPress theme controls the appearance of your pages by utilizing a template file called page.php. This template file affects all single pages that you create in WordPress. However, not all pages are the same. Little changes in their layout and appearance can make them unique and a lot more useful. Creating a custom page template in WordPress requires a basic understanding of HTML, CSS, and PHP. Having said that, let’s jump into creating your first custom page in WordPress. 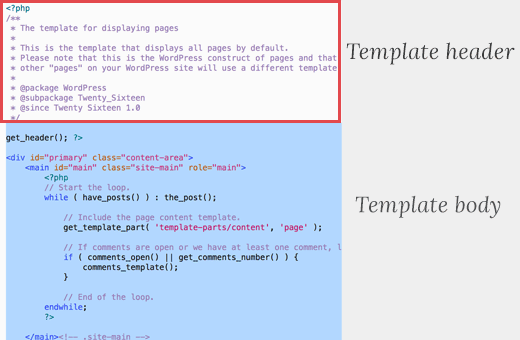 This code simply tells WordPress that this is a template file and it should be recognized as CustomPageT1. You can name your template anything you want as long as it makes sense to you. Once you have added the code, save the file to your desktop as, custompaget1.php. You can save the file with any name, just make sure that it ends with .php extension. For this next step, you will need to connect to your website using an FTP client. Once connected, go to your current theme or child theme folder. You will find it in /wp-content/themes/ directory. Next, upload your custom page template file to your theme. Now you need to login to your WordPress admin area to create a new page or edit an existing one. On the page editing screen, scroll down to ‘Page Attributes’ section, and you will find a template drop down menu. Clicking on it will allow you to select the template you just created. Now if you change template and visit this page, then you will get to see a blank page. That’s because your template is empty and does not tell WordPress what to display. Don’t worry, we will show you how to easily edit your custom page template. Your custom page template is like any other theme file in WordPress. You can add any HTML, template tags, or PHP code in this file. The easiest way to get started with your custom page is by copying the existing page template provided by your theme. 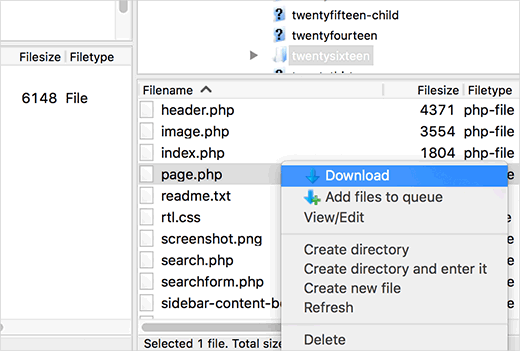 Open your FTP client and go to your theme folder. There you will find a file called page.php. You need to download this file to your computer. Open the page.php file in a plain text editor like Notepad, and copy all its content except the header part. The header part is the commented out part at the top of the file. We are not copying it, because our custom page template already has one. Now you need to open your custom page template file and paste it at the end. Save your custom page template file and upload it back to your theme folder using FTP. You can now visit the page you created using custom page template. It will now look exactly like your other pages in WordPress. 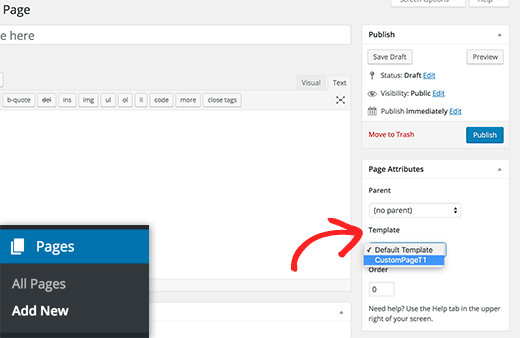 You can now continue editing your custom page template file. You can customize it in any way you want. For example, you can remove the sidebar, add custom PHP code, add any other HTML you want. You can add the content by editing the page in WordPress page editor screen. You can also leave the content area in page editor completely empty, and add custom content directly in your page template. We hope this article helped you add a custom page in WordPress. You may also want to see our list of the best drag and drop page builder plugins for WordPress. Please, i need your assistance, i have my website build myself but i am having issues which i know you can help me cause i built my site watching all your videos and article. i want to create the home page then use the home on my MENU on my website so that when people finish reading an article and they want to return home they can easily click on home and return to the home page. please, i need your help on this. I don’t see the Template drop-down in the page attributes? If you’re using the block editor then you would want to ensure you’re editing the document. If it is not displaying correctly then you would want to double check the file name and that the file was correctly added to your files. thank you very much. you saved my day. Hi, maybe a stupid question but do I have to create a child theme for this? Or is it protected from theme updates because it is a separately built page? Is it possible to add my php template to Elementor? Using your guide I created my custom page for my “blog” section (page with the most recent posts that doesn’t have the slider or other features that the Home page has). My website is bilingual, so I’d like to translate this custom page to my second language… and I can’t find the way to do it. hi i want to add html page not php page as a custom template can it be possible ? You can add an HTML page to the website but I wont be a part of the theme. It has to be a .PHP to be part of the theme. I had the same problem. Try another theme, and make sure you upload the file in the right directory. You can see the directory on top when you add a sample page. please how can i do that when default template option isn’t appearing in dashbord? Nice and helpful instructions, but i want to load template from my plugin, when i add the .php file inside my plugin wordpress not showing the drop down . Thank you!!! This is so clear and simple and straight forward. I was able to set up a new page temple in under 5 min. I really appreciate what you guys do – and whoever did this video has a great voice and speaks very well for instructions. Thanks a lot for this, this post helped while i was creating a custom them which needed me to create a number of custom pages. thumbs up for this! I love to see how do you have to create custom pages Like table ( flex-wrap with div or about page. I already made AboutMe-Page with css-embedded picture and more custom pages. That is really excellent! WordPress makes us rich, right? WordPress is like darling / sweetheart Because we want make our blog-websites with money from internet. And how do I fix contactform of WPForm? Why does WPForm not send e-mail to my google mail. I want try if it works. Thanks for nice explanations with your nice videos. I am really happy because you save my life and make me reality. Please see our article on how to fix WordPress not sending emails issue. Are plugins compatible with custom page templates? For example, if I were to add custom content directly to my page template via a text editor, then upload and select it for the appropriate page (say contact page), how would a plugin (say a contact form), be placed into the custom page? Yes they are. Often if you have to add something to a page template, you can do so by using the shortcode or template tags provided by the plugin. You are not getting anything because you should add default navigation links to your website. Hello, Thanks Wpbeginner for all the tutorials. With your tutorials I build a website for the very first time by myself and its going great. I learned so much from you guys. I cant do that by edditing the permalink, any advice? Hi i have create a wordpress theme from scratch I create a new template call custom template it’s work but when I create a new page in admin panel the content of text does not show but it dispay only the header and footer of my new page. Thank you for the tutorial. I am happy to learn new stuff step by step. But, When I preview the page with the new template, I don’t have a white page, I have my default theme loaded. If you inspect your page what do you see? Hiii, Thanks for the information. I have a little problem/confusion. I had made the custom page as you described in the tutorial above. But i want to add custom php code to fetch data from other place and display on the custom page i just created. There will be a dropdown on the custom page and on selecting a value it will display some data on the same page which is either coming from database or from some other website. Hi – I was wondering how I can avoid including other plugins css and js files such as woocommerce and various others in my template. What if the theme has a kind of wrapper base.php? I would like to create a new custom page template but I always get also what is in the main wrapper base.php. Did I make myself clear enough? I want the sidebar on the very right and all the other content “full width” on the page. How can I do this? When I choose “Full Width” in the WordPress-Site-Settings, the sidebar of course is gone and my content still isn’t full width. How to make FTP client connection? You will need to enter your website domain, FTP username and password. For detailed instructions please see our guide on How to use FTP to upload files to WordPress. Nothing shows up in the drop down in Page Attributes? I am using Storefront theme for Woocommerce. What is the solution? Is Storefront not allowing custom page templates? Any help is much appreciated. Thanks. Very educative indeed, thanks alot. However, I have a rather unique situation and after reading your post felt I should ask. I have two lovely pages I long to add to my wordpress theme, but sadly they are static HTML pages with commenting, voting as well as sharing system. Is there a way I can get them into my existing wordpress theme and also get them to use the wordpress commenting, voting and sharing systems? Today, You give me a chance to learn something new in wordpress. You can click on Appearance and then select a theme. See our guide on how to install a WordPress theme for detailed instructions. But, I cannot change the theme of my whole website. I just needed to create a blank page so I can create a forum. Instead of reinventing the wheel, why not just use BuddyPress? I just want to THANK YOU for posting this. 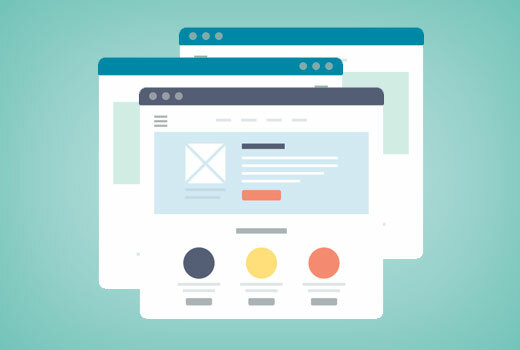 I’ve been trying to get a static front page to work with my custom template and I just couldn’t find a straight and simple answer until stumbling upon this article. Much appreciated. You are welcome Don’t forget to follow us on Facebook for more WordPress tips and tutorials. You can also verify by adding the meta tag or by using Yoast SEO plugin which allows you to add the meta tag from its settings page. how to remove sidebar Php? I don’t see the template option in the Page Attributes section of my wp page – is there something I need to do to see this? Thanks for the post! It was so difficult to find this simple answer in the wordpress codex. One suggestion, though. Please add to your post that when users create their ‘custom_page.php’ file to add a header tag, i.e. with a text title so they don’t get a white page on the first go. It’s just a quick way of making sure the page is really working. Again, thanks a lot for making this so easy! I m trying to embed some javascipt or html codes into the blank page… how should i do that? Because i now have the blank page but when i embed the embedded codes onto the editor it doesnt seems to work. How do you do this for WordPress 4.7? No Template shows up when I attempt to create a page in 4.7. How to you even save it as .php file??? I’m truly a beginner and found the steps easy to follow. I created my new .php file following the instructions, pasting the page.php text at the end of my new .php file. I’m to the point where my new custom page template is available in the drop down when I create a new page. I select the new template for the new page, and when I make changes to the new page in the customizer (delete a text widget from the sidebar), the changes are applied to the other pages that have the default template selected as well, not to just my new page with the new custom template selected. Any ideas? there is a 32px top margin on it which does not show on the other page.